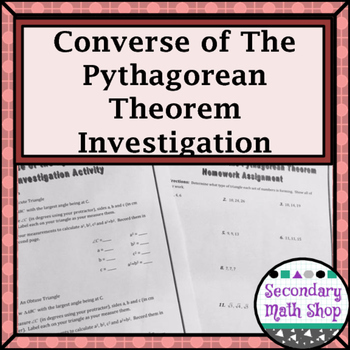 The main part of the activity is an investigation into the Converse of the Pythagorean Theorem that can be done individually, in pairs or in small groups. 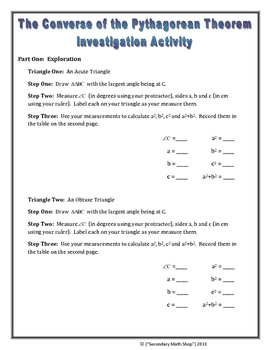 In addition it includes some questions for thought/discussion, a few examples to go through and a 15 question homework or in-class assignment as well. 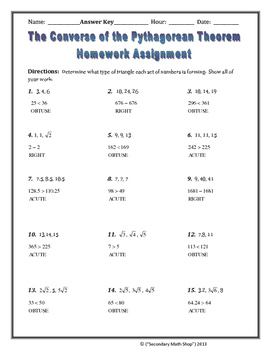 A great way to teach the Converse without simply standing in the front of the room and telling the students. 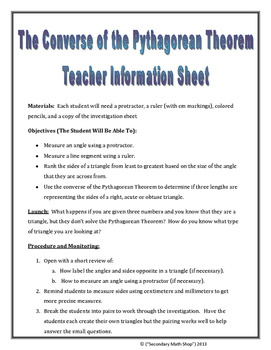 If you are looking for follow-up or practice, please check-out my riddle worksheet on this same topic at: Converse of the Pythagorean Theorem Riddle.